Welcome, as always. We had intended to go on with our discussion of villains, which looks like it will form a series, but we were distracted for a moment by the following– so more on villains to come. So begins The Lord of the Rings, a novel. 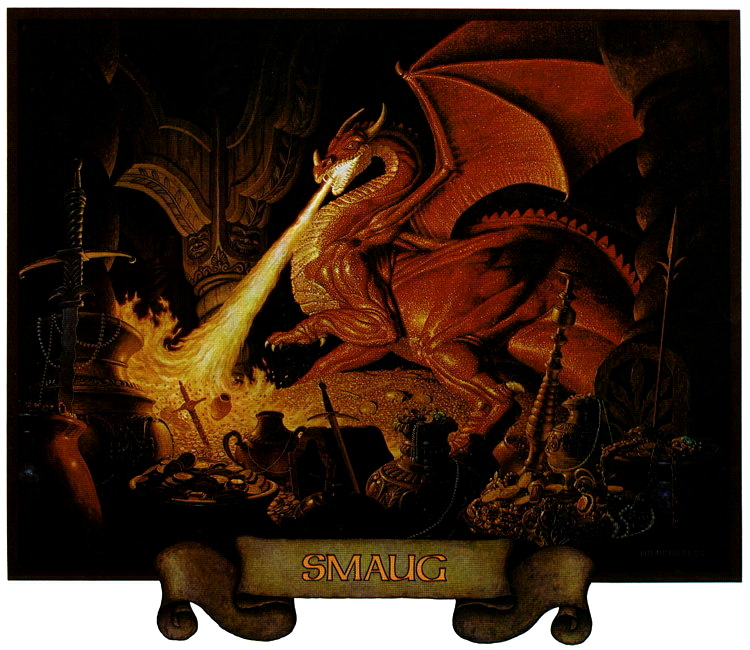 But a novel which pretends not to be a novel at all, but, rather, an edited version of a true history of someplace and sometime else: Middle-earth, the Third Age. It’s hardly a new ploy, to pretend to be only presenting something already written by others. Often, it’s done to deflect attention from the sensitive matter within the novel: de Montesquieu’s criticism of France in Persian Letters or Hawthorne’s use of the theme of adultery in The Scarlet Letter. 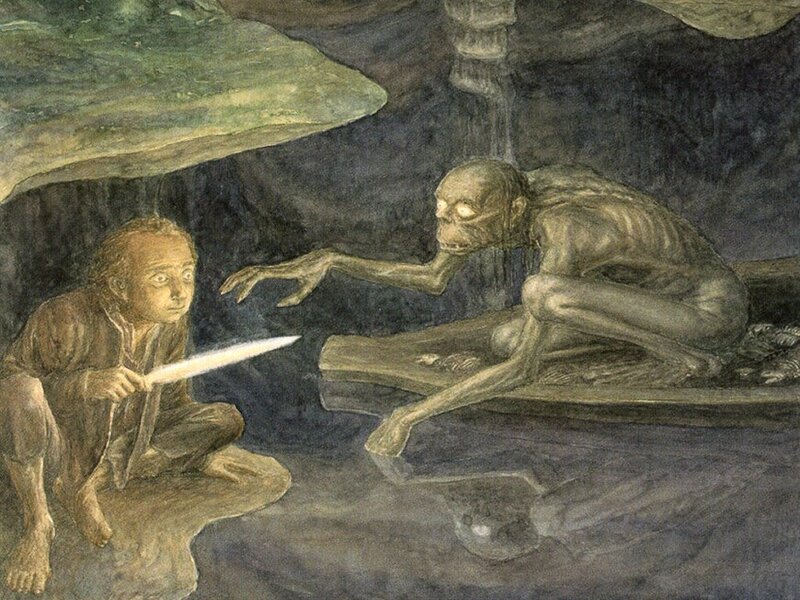 The adventures in The Lord of the Rings, or, for that matter, The Hobbit, are hardly controversial, however, so why go through this pretense, we wondered? As we thought about and discussed this, we came up with a whole series of possible reasons– and none of them necessarily excludes any of the others. First, and perhaps most obvious, was that being an editor and translator formed a major part of what JRRT did in his academic life. What would seem more natural? Second, he lived in the academic world of Oxford, among academic friends, who formed a large part of his initial readership, and who themselves could be editors and translators. Third, based in part on one and two above, it fits into Tolkien’s and the Inklings’ desire to produce more of what they liked to read: an adventure, but in the guise of a “scholarly” work, yet one wholly invented. Fourth, unlike real scholarly work, this one was not bound– and never would be– by the limits of available knowledge. There is only one Beowulf manuscript, after all. 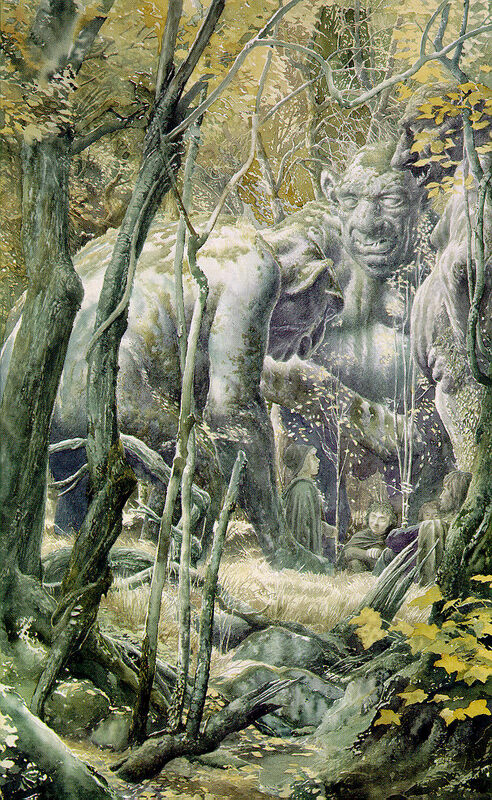 Because the only bounds placed upon the “research” for The Hobbit and The Lord of the Rings were the limits of the author’s imagination, this material was, potentially, endless, and every point within could be infinitely expanded, as we see in the twelve volume edited by Christopher Tolkien. 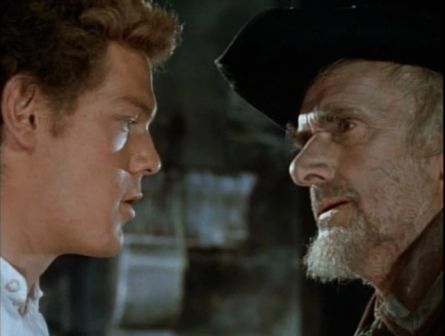 One might imagine that JRRT, frustrated at how little Old English verse there was, felt enormously freed– and, should there be criticism, well, at one level at least, he had no need to respond, not being the author. This leads, in turn, to a less comfortable idea: suppose JRRT wasn’t completely at ease with his own creation. After all, he was a professor who was spending a great deal of his time and energy fabricating a fictional world rather than doing research and writing about literary/linguistic activities in the actual world of academia. Could this have been a kind of subconscious defense– I am doing scholarship– see? And then there’s reason five, which one might see as informing, at some level, all of the others. JRRT had been drawn, from childhood, towards stories from Lang’s Fairy Books through the prose and poetry of William Morris. He was also an active literary scholar. By playing editor and creating a second scholarly shell around the primary adventure, he could neatly combine the two halves of his life into one and, in the process, produce works which please reader and scholar alike– and combined. As always, we ask for your opinion. or skinny and smoky, like Cruella de Vil. 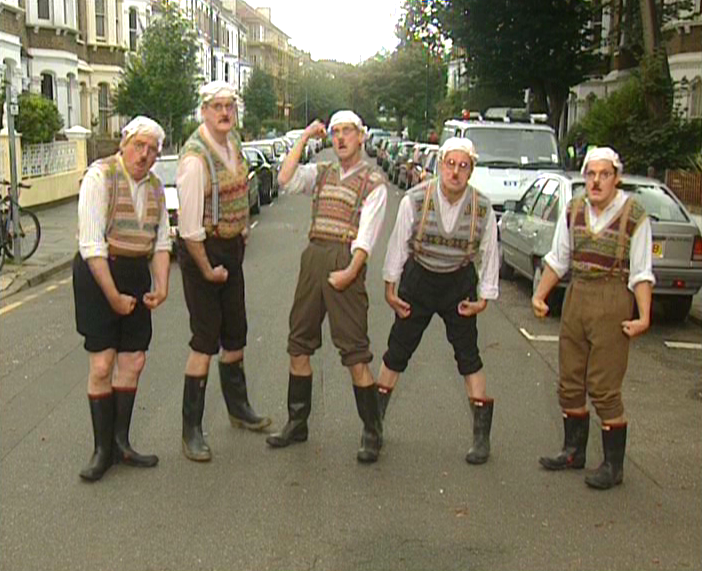 for example, would quickly become something out of Monty Python’s gumbies, at best. 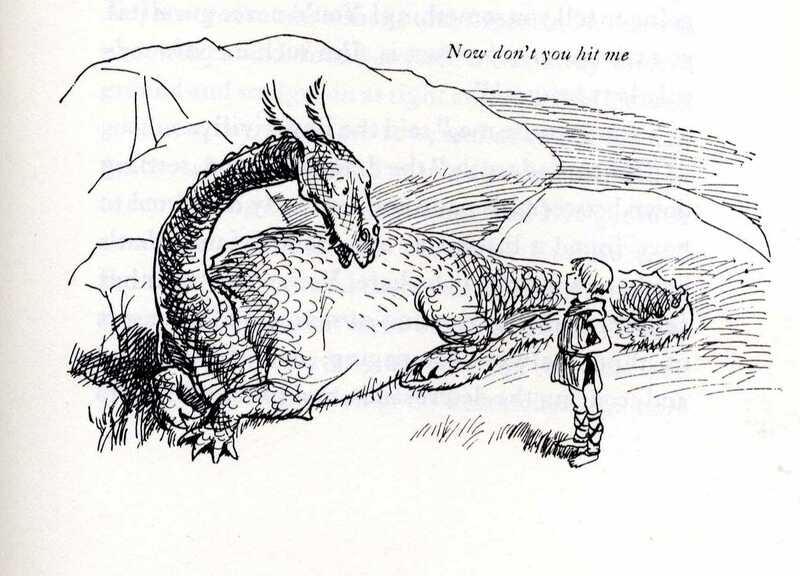 An ancient and smooth-talking dragon makes the story bigger and gives it more weight. 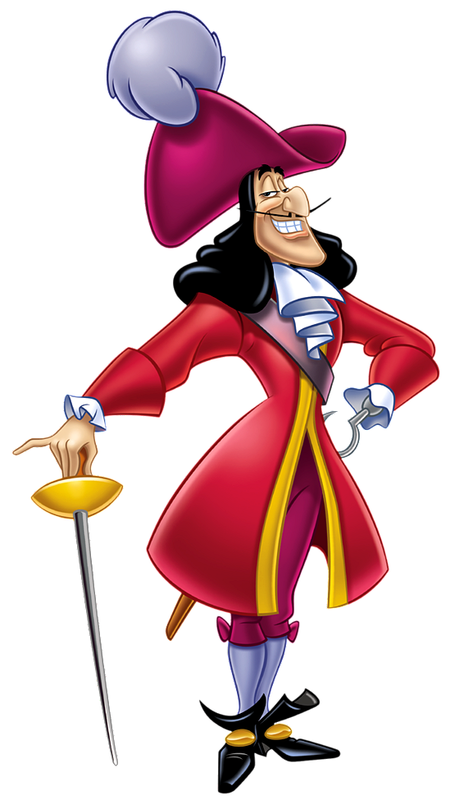 An elegant villain can make a story more elegant, as Captain Hook would insist. As a way of testing this premise, imagine a Lord of the Rings in which the main villain is Gollum. It might be entertaining, but how much smaller the drama than that which we see as grand, in part because of the size and menace of the villain. What adds to the power of a villain is a certain primal nature: this is someone driven to be who he/she is because of what she/he wants—and the converse is true: what he/she wants can define who he/she is. 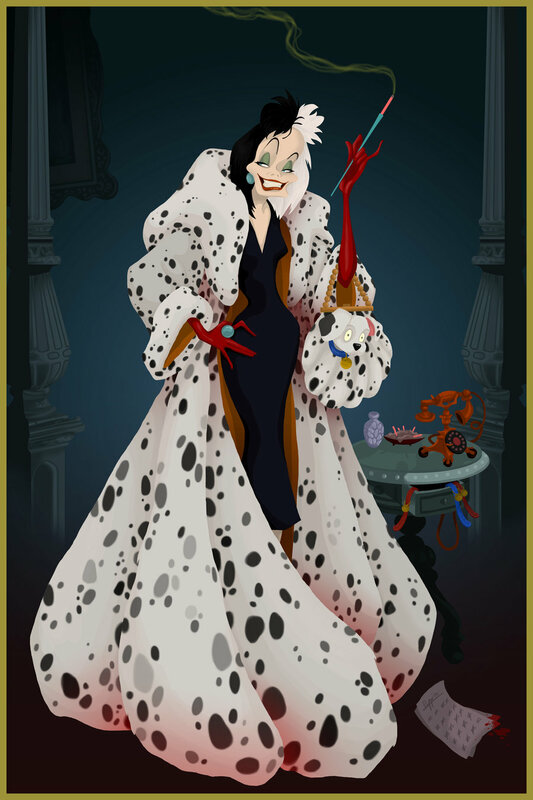 What is Cruella, for instance, apart from her lust for a fur coat made from Dalmatians? 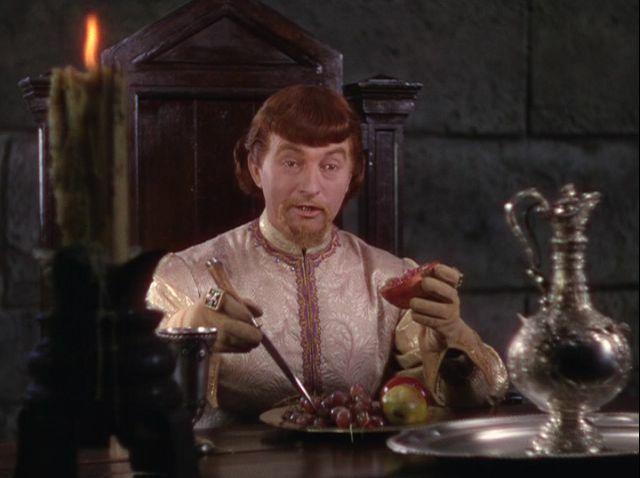 In the case of Robin Hood, even if we had never heard him say a word, we would know what Prince John wants—that word “Prince” might serve as giveaway. He wants to be King John. It perfectly suits his ambitions that his brother, Richard, the real king of England, is being held for ransom in Austria. It’s even an opportunity to look pious—you’re rescuing your brother with that huge sum of money—when, in reality, you’re simply increasing your own revenues. And your chief collector (in the tradition), the Sheriff of Nottingham, is thus nothing but a function in the story of John: the actual hand in the people’s purse, but he’s doing it for the sake of his master. 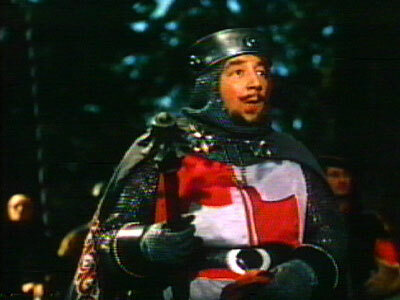 The opposite of a character like Prince John would be what we might call a terminal villain. He/she appears and the story’s action begins. With his/her disappearance, the story, effectively, ends, even if there’s a coda: once Darth Vader/Anakin tosses the Emperor over the railing, what’s left but funerals, ghostly reunions, and fireworks? And, even if you clone the Emperor for a rematch, the original has been eliminated and his complex and long-developing relationship with his star pupil, Vader, has been resolved. Thanks, as ever, for reading and, as always, we welcome questions and comments! A (Self)-portrait of the Artist? We intend to continue our discussion of narrative in Tolkien in our next, but heavy with the baskets of jelly beans and peeps we’ve consumed pre-Easter, we thought we’d daydream with you a little this week. Our focus in this blog is a picture we have displayed once before. 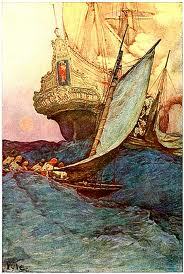 It is by N.C. Wyeth and was the cover of the March 1922 issue of the Ladies’ Home Journal. 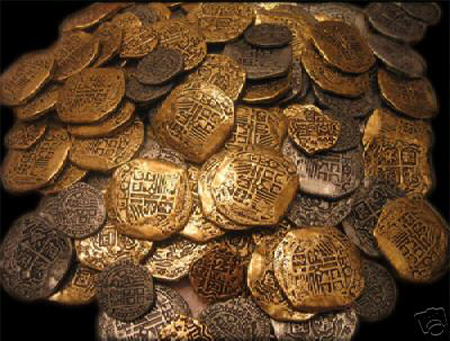 we could certainly see this as one of that thematic family– a Spanish galleon being attacked by tiny pirate longboats. 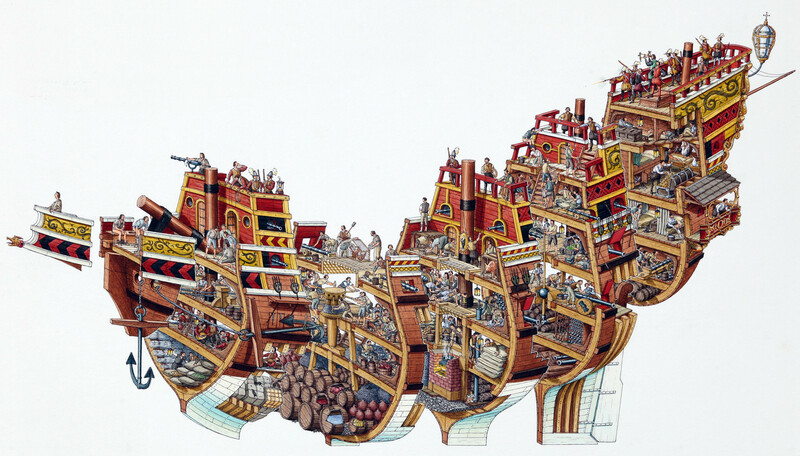 but the written text which such a picture would have accompanied during that golden era of book illustration, just at the end of the 19th and beginning of 20th centuries. 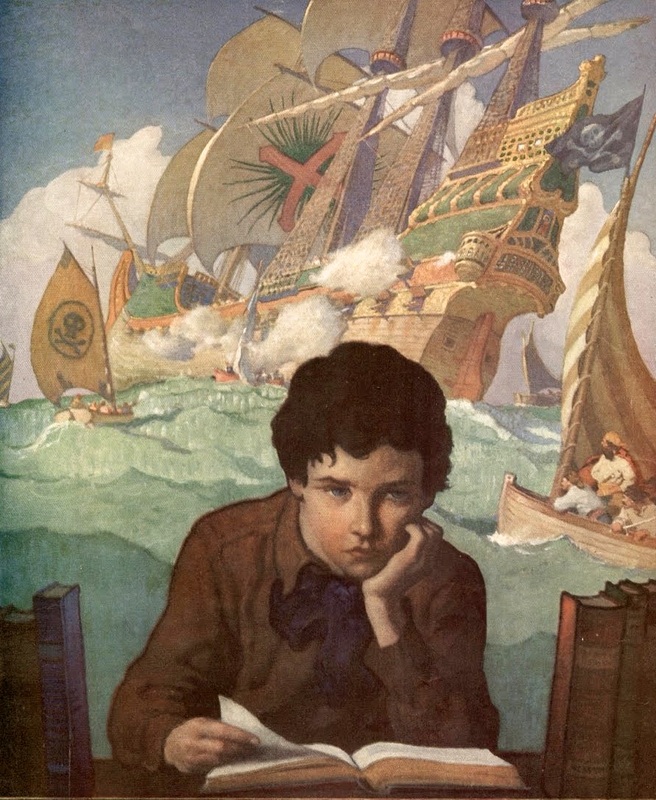 And something else strikes us: is this a self-portrait of Wyeth himself as a boy, stirred, as we know he was, by stories of adventure? 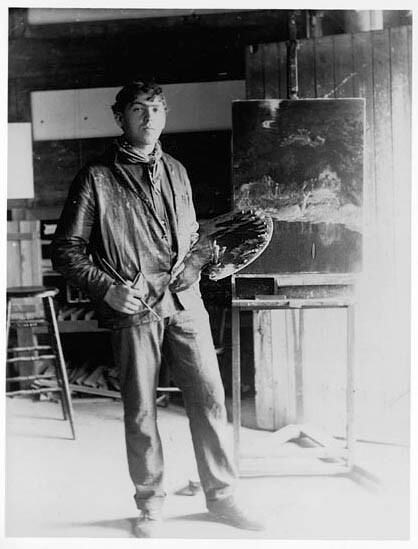 Compare these two pictures (the one on the right is the earliest picture we could find of Wyeth– dated 1903, so he’s about 21). 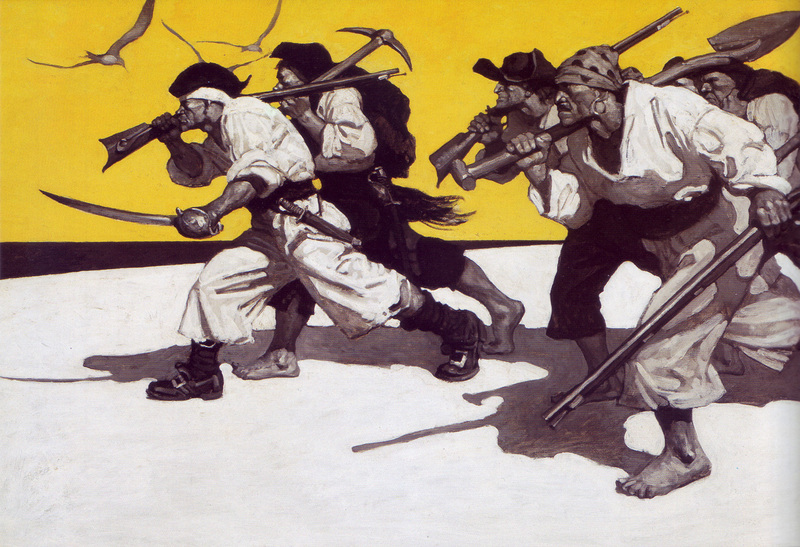 2. not just any boy, but Wyeth the painter–could we be looking at Wyeth depicting that moment when he decided that he would like to illustrate such stories himself? What do you think, dear readers? The only thing we could wish was that there was a companion picture, in which a girl of 1922 was reading the same book and having the same daydream!